The news of recent Facebook platform changes, and a major privacy breach, has small businesses wondering if Facebook is still a worthwhile investment of their time and money. The short answer is yes. As of the first quarter of 2018, Facebook had almost 2.2 billion users. In the wake of the much-publicized Facebook privacy leak to Cambridge Analytica, those 2.2 billion users were faced with the knowledge that much more of their personal information was available for the taking than they realized. Cambridge Analytica, a British political consulting firm, obtained access to personal information of 87 million Facebook users through a third-party source. The company was accused of using that information to influence the 2016 US presidential campaign. How much the targeting efforts affected the outcome of the election is unknown, but the breach certainly made the general public take notice, and Facebook quickly came under fire. Its CEO, Mark Zuckerberg, responded to questions in a two-day congressional hearing, where it was revealed that our elected leaders have little understanding of how social media companies work, let alone make millions of dollars. It would’ve been funny if it weren’t so distressing. When Facebook users understood what had happened, their biggest complaint was that Facebook privacy settings were too hard to find, making Facebook’s practices seem underhanded. Facebook quickly introduced a streamlined process for users to access privacy settings, just ahead of the new European Union General Data Protection Regulation (GDRP), which requires such sites to be transparent in their privacy practices. Other sites have quickly followed suit, and users are finding themselves clicking through policy change notifications regularly just to get them off their screens. Facebook has also chosen to stop allowing advertisers to target ads with info derived from third party sources, something they call “Partner Categories.” This business model includes collaborations with Experion, Acxion, and Oracle Data Cloud, to name a few, where information derived from their sources is matched to the data Facebook has already collected. Given the current environment, Facebook is backing off this experimental marketing practice for now. Personal data of users is the most valuable asset of Facebook and other social media companies. They keep track of the pages we follow, the stories we click on, how long we visit each site, and much more. Just the thought that Facebook has access to all this information — with the potential to harvest more — gives the company its $500 billion market value. The information it stores also makes Facebook a desirable destination for hackers. Whatever privacy policies are put in place, the likelihood of another leak seems inevitable. Because of all that data, Facebook remains a valuable marketing tool for businesses both large and small. Not only does Facebook reach an enormous amount of potential customers, it can target those who are best suited as your customers, for a relatively low cost. Facebook does the work for your small business. There was concern after the privacy leak that Facebook users would flee the platform. But Facebook customers have spoken loud and clear since the incident. While their trust in Facebook has declined, usage has not slowed down. In fact, users have noted that they actually like the things they see pop up on their Facebook page because they are targeted to them. Facebook users are willing to give up some of their privacy to have exposure to the things that matter to them most. Users have gotten over the shock of seeing an ad on their newsfeed for the item they searched for on Amazon yesterday and now appreciate the sales help. Before the Cambridge Analytica privacy breach, Facebook had also announced a new structure to its newsfeed. In an attempt to be more user-friendly and show users more of what they want to see in their newsfeeds — pictures of friend’s new babies, vacations, and kids’ graduations — Facebook changed its algorithms so posts from businesses (seen as ads) would be pushed down in newsfeeds. This was also a way for Facebook to garner more income from corporate users in the form of lucrative sponsored ads. Post often, but not too often. Business pages should post 2-3 times per week. You want to stay on the top of your customer’s mind, but not so much that you annoy them. Mix it up. Vary the types of posts you use. Try a mix of one-third humor, one-third information about your product or industry, and one-third sales pitches. Definitely include video. Video is easily the most engaging medium on Facebook. Make sure to include your Swick Media Services spots in your mix of posts. More likes, more shares, more reactions. The more likes, shares, and reactions your post receives, the more Facebook pushes your post to additional users. People love to see real people. Make sure to include photos and videos introducing your staff and/or showing them in action. In the end, with its 2.2 billion users, Facebook can’t be ignored as a way to market to your customers. And its users have voted that they are willing to exchange a portion of their privacy in order to see things that are relevant to them, thanks in no small part to its own smart TV marketing mea culpa. 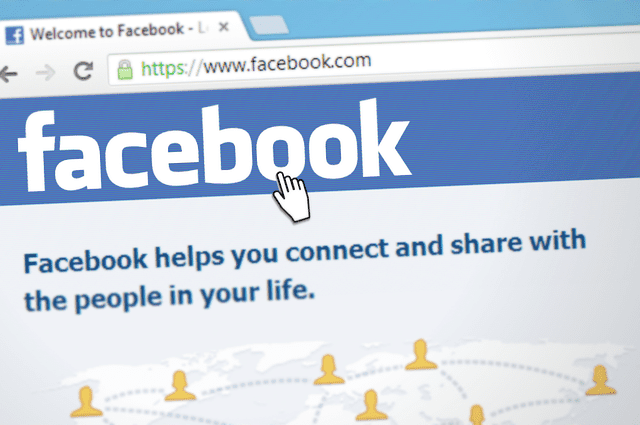 With a little time and a relatively small investment, Facebook should be part of your small business’ marketing strategy.